Some KickStarter Projects look too good to be true. By comparison, some produce a knee-jerk “Why didn’t I think of that!” In this case RedShift has produced an “I NEED one of those” reactions. Anything that looks like it will reduce the vibrations going up through my arm gets my vote. Read on to see what I’m going on about! So after having broken my arm, even though I’m cycling again, my RIGHT side is weaker than the left. Couple with large rough patches on the road can really make my RIGHT elbow sore after an hour on the bike. Thus seeing the RedShift ShockStop, I was immediately interested. ShockStop is an adjustable-stiffness suspension stem, reducing the vibrations and jarring knocks than can get transmitted to the rider on the road. 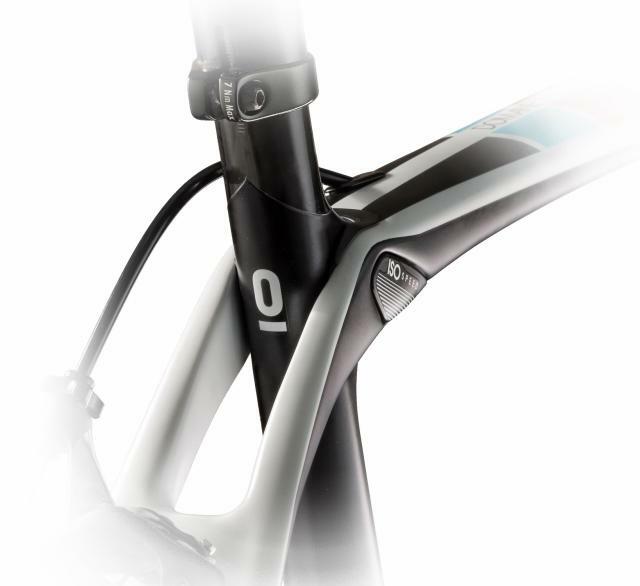 It works through having an elastomer within a joint at the stem allowing vertical movement – which in turn smooths the ride, whilst not affecting lateral movement – i.e. your steering input. I’ll be honest, my first thought was the Trek IsoSpeed decoupler when I heard about the idea. I’m really interested to give the RedShift a go, merely to see if it is as effective at reducing the road buzz, as the IsoSpeed has been, yet similarly without negatively affecting racing hard on the bike. Ultimately its cheaper than a carbon stem, so I’ve plunked down to see if it does reduce any road noise, and see if my Scott is a little less violent! RedShift ShockStop is available today at KickStarter.com – available at $99, compared to a estimated RRP of $139. Take a look if you are interested, its going to be well into 2016 before you see a review though! Lumos Smart Helmet Review – Brakes, Indicators and Lights!